Match ends, 1. FC Köln 1, Hamburger SV 1. Second Half ends, 1. FC Köln 1, Hamburger SV 1. Attempt missed. Orel Mangala (Hamburger SV) left footed shot from outside the box misses to the right following a corner. Corner, Hamburger SV. Conceded by Marcel Risse. Rafael Czichos (1. FC Köln) wins a free kick in the defensive half. Foul by Josha Vagnoman (Hamburger SV). Manuel Wintzheimer (Hamburger SV) is shown the yellow card for a bad foul. Jorge Meré (1. FC Köln) wins a free kick in the defensive half. Foul by Manuel Wintzheimer (Hamburger SV). Goal! 1. FC Köln 1, Hamburger SV 1. Manuel Wintzheimer (Hamburger SV) left footed shot from the centre of the box to the bottom left corner following a corner. Attempt blocked. Douglas Santos (Hamburger SV) left footed shot from the centre of the box is blocked. Assisted by Khaled Narey with a headed pass. 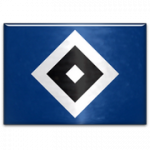 Corner, Hamburger SV. Conceded by Florian Kainz. Attempt saved. Khaled Narey (Hamburger SV) right footed shot from outside the box is saved in the top centre of the goal. Assisted by Douglas Santos. Substitution, Hamburger SV. Manuel Wintzheimer replaces Gotoku Sakai. Substitution, 1. FC Köln. Anthony Modeste replaces Jhon Córdoba. Dominick Drexler (1. FC Köln) wins a free kick in the defensive half. Attempt blocked. Douglas Santos (Hamburger SV) left footed shot from the left side of the box is blocked. Assisted by Orel Mangala. Attempt blocked. Khaled Narey (Hamburger SV) left footed shot from outside the box is blocked. Assisted by Josha Vagnoman. Foul by Dominick Drexler (1. FC Köln). Foul by Bakery Jatta (Hamburger SV). Jhon Córdoba (1. FC Köln) wins a free kick on the left wing. Foul by Léo Lacroix (Hamburger SV). Attempt missed. Berkay Özcan (Hamburger SV) right footed shot from outside the box is high and wide to the right from a direct free kick. Jorge Meré (1. FC Köln) is shown the yellow card for a bad foul. Orel Mangala (Hamburger SV) wins a free kick in the attacking half. Foul by Jorge Meré (1. FC Köln). Substitution, 1. FC Köln. Lasse Sobiech replaces Simon Terodde. Florian Kainz (1. FC Köln) wins a free kick in the defensive half. Attempt blocked. Berkay Özcan (Hamburger SV) right footed shot from outside the box is blocked. Assisted by Douglas Santos. Attempt missed. Bakery Jatta (Hamburger SV) left footed shot from the left side of the six yard box misses to the right. Assisted by Orel Mangala. Offside, 1. FC Köln. Marcel Risse tries a through ball, but Simon Terodde is caught offside. Attempt blocked. Douglas Santos (Hamburger SV) left footed shot from outside the box is blocked. Jonas Hector (1. FC Köln) is shown the yellow card for a bad foul. Vasilije Janjicic (Hamburger SV) wins a free kick in the attacking half. Foul by Jonas Hector (1. 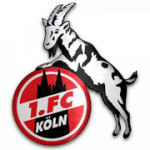 FC Köln). Douglas Santos (Hamburger SV) wins a free kick in the defensive half. Substitution, Hamburger SV. Josha Vagnoman replaces Gideon Jung. Foul by Gideon Jung (Hamburger SV). Attempt saved. Orel Mangala (Hamburger SV) left footed shot from outside the box is saved in the centre of the goal. Assisted by Douglas Santos. Attempt blocked. Khaled Narey (Hamburger SV) left footed shot from outside the box is blocked. Assisted by Berkay Özcan. Corner, Hamburger SV. Conceded by Rafael Czichos. Rick van Drongelen (Hamburger SV) is shown the yellow card for a bad foul. Jhon Córdoba (1. FC Köln) wins a free kick on the right wing. Orel Mangala (Hamburger SV) wins a free kick in the defensive half. Johannes Geis (1. FC Köln) wins a free kick in the attacking half. Jhon Córdoba (1. FC Köln) wins a free kick in the defensive half. Attempt missed. Bakery Jatta (Hamburger SV) right footed shot from the centre of the box misses to the left. Assisted by Khaled Narey with a cross. Attempt saved. Marcel Risse (1. FC Köln) right footed shot from outside the box is saved in the bottom left corner. Assisted by Johannes Geis. Jhon Córdoba (1. FC Köln) wins a free kick in the attacking half. Gideon Jung (Hamburger SV) is shown the yellow card for a bad foul. Marco Höger (1. FC Köln) wins a free kick in the defensive half. Florian Kainz (1. FC Köln) is shown the yellow card for a bad foul. Khaled Narey (Hamburger SV) wins a free kick in the defensive half. Foul by Florian Kainz (1. FC Köln). Second Half begins 1. FC Köln 1, Hamburger SV 0. First Half ends, 1. FC Köln 1, Hamburger SV 0. Corner, Hamburger SV. Conceded by Marco Höger. Attempt blocked. Gideon Jung (Hamburger SV) header from the centre of the box is blocked. Assisted by Douglas Santos. Substitution, 1. FC Köln. Marcel Risse replaces Christian Clemens because of an injury. Corner, Hamburger SV. Conceded by Dominick Drexler. Delay in match Christian Clemens (1. FC Köln) because of an injury. Attempt missed. Douglas Santos (Hamburger SV) left footed shot from outside the box misses to the right. Assisted by Bakery Jatta. Simon Terodde (1. FC Köln) is shown the yellow card for a bad foul. Foul by Simon Terodde (1. FC Köln). Hand ball by Jhon Córdoba (1. FC Köln). Simon Terodde (1. FC Köln) wins a free kick on the left wing. Simon Terodde (1. FC Köln) wins a free kick on the right wing. Berkay Özcan (Hamburger SV) wins a free kick in the defensive half. Goal! 1. FC Köln 1, Hamburger SV 0. Dominick Drexler (1. FC Köln) right footed shot from very close range to the bottom left corner. Assisted by Marco Höger following a corner. Attempt missed. Marco Höger (1. FC Köln) header from the right side of the six yard box misses to the left. Assisted by Johannes Geis with a cross following a corner. Corner, 1. FC Köln. Conceded by Douglas Santos. Attempt blocked. Christian Clemens (1. FC Köln) right footed shot from the right side of the box is blocked. Assisted by Jhon Córdoba. Attempt blocked. Simon Terodde (1. FC Köln) left footed shot from the centre of the box is blocked. Assisted by Johannes Geis. Attempt missed. Johannes Geis (1. FC Köln) left footed shot from outside the box misses to the right. Gotoku Sakai (Hamburger SV) wins a free kick on the right wing. Foul by Johannes Geis (1. FC Köln). Corner, 1. FC Köln. Conceded by Léo Lacroix. Attempt blocked. Jhon Córdoba (1. FC Köln) right footed shot from outside the box is blocked. Assisted by Jonas Hector. Julian Pollersbeck (Hamburger SV) wins a free kick in the defensive half. Corner, 1. FC Köln. Conceded by Julian Pollersbeck. Corner, Hamburger SV. Conceded by Jorge Meré. Attempt blocked. Bakery Jatta (Hamburger SV) right footed shot from outside the box is blocked. Assisted by Douglas Santos. Hand ball by Orel Mangala (Hamburger SV). Offside, 1. FC Köln. Rafael Czichos tries a through ball, but Jhon Córdoba is caught offside. Attempt missed. Simon Terodde (1. 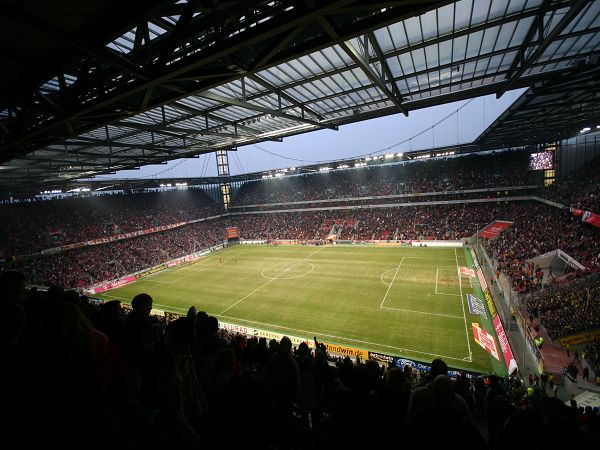 FC Köln) header from the centre of the box is too high. Assisted by Johannes Geis with a cross following a corner. Corner, 1. FC Köln. Conceded by Khaled Narey. Attempt blocked. Florian Kainz (1. FC Köln) right footed shot from outside the box is blocked. Corner, 1. FC Köln. Conceded by Vasilije Janjicic. Attempt blocked. Jonas Hector (1. FC Köln) left footed shot from outside the box is blocked. Assisted by Jhon Córdoba. Offside, 1. FC Köln. Jorge Meré tries a through ball, but Jhon Córdoba is caught offside. Johannes Geis (1. FC Köln) wins a free kick on the right wing. Attempt blocked. Simon Terodde (1. FC Köln) left footed shot from the centre of the box is blocked.